Here is the enchanting and very fragrant Celsiana blooming in my garden today. Many of you were aghast when you saw this picture on Twitter given that I garden in Zone 5b. 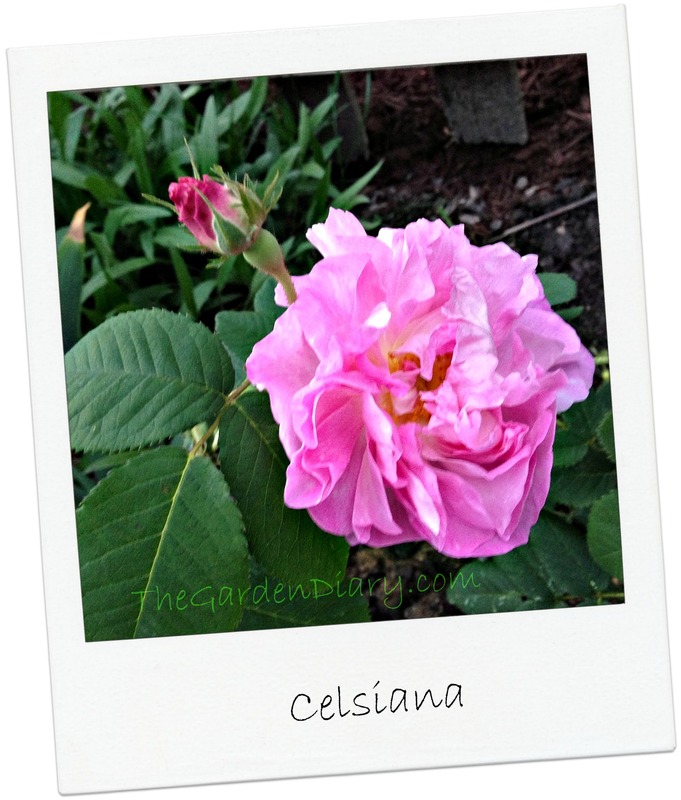 The truth is, Celsiana was adopted this year from Guinivere Wiley of Roses of Yesterday and Today. She’s a Cali girl–thus the early start! Guinivere sent me the most beautiful plants and I protected them through some very cold days and nights. But baby look at her now. She is truly enchanting! A graceful plant with smooth, grey-green foliage and clusters of 4 inch warm pink flowers . . . which open wide with a special crisp twirl of crinkled petals showing tall yellow stamens. True damask fragrance . 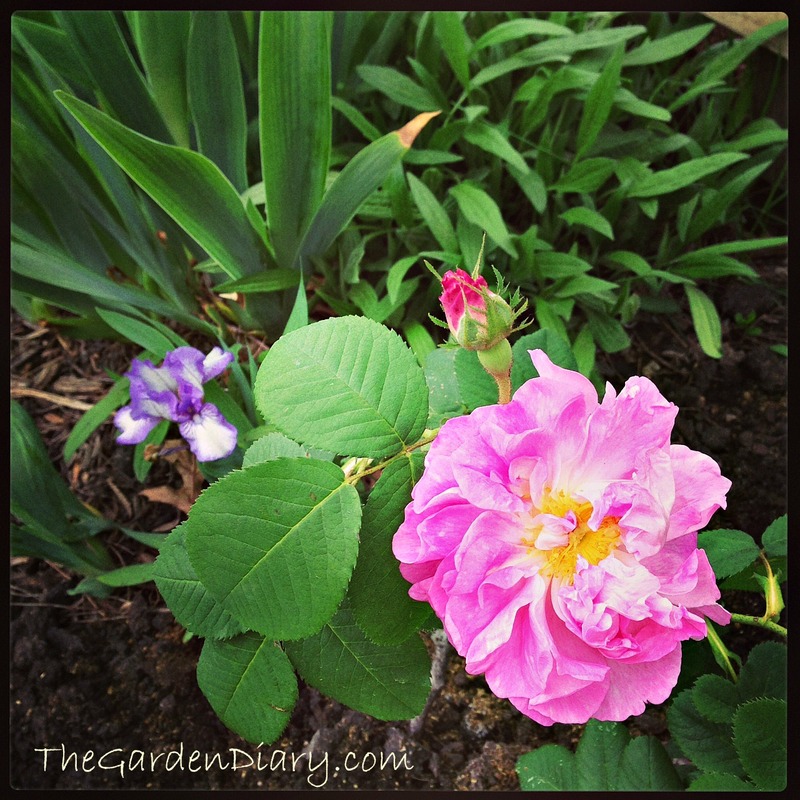 . . if you plan to make potpourri, this rose should be included in your order. I would highly recommend you adopt at least one Celsiana for your garden! Zone 4 through 9 and fragrant. This looks like it would fit right in to my garden. I really appreciated the information. Such a lovely rose. I’m glad you love these OGR’S. Thanks for the beautiful post.